The presence of God with rescued sinners defies understanding. But our faith has been wired to explore the miracle of Emmanuel. Learning to live with God is the most satisfying, life-changing adventure written for the days of our earthly journey. Enjoyment of God’s presence is more than a future hope. It’s a current experience. The Spirit of God is our life-coach, training us how to recognize Enthroned Glory in the most mundane daily activities. He schools us in living extra-ordinary lives. He teaches our tiny lives the celebration of living with Immensity. The miracle is not simply about God with us but about grace for intimate exchanges with Him in all of living. Celebrating His presence is at the heart of lifestyle prayer. 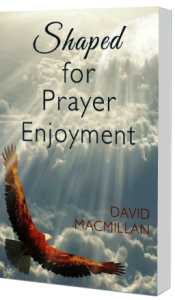 This is the essential starting place in the equipping tracks and lays a foundation for an enjoyable, effective prayer life.